Yesterday was a pretty special day. We left Madeleine with her friend (read: responsible but fun babysitter) and Pete and I had a lunch date in Chelsea. At none other than Restaurant Gordon Ramsay. 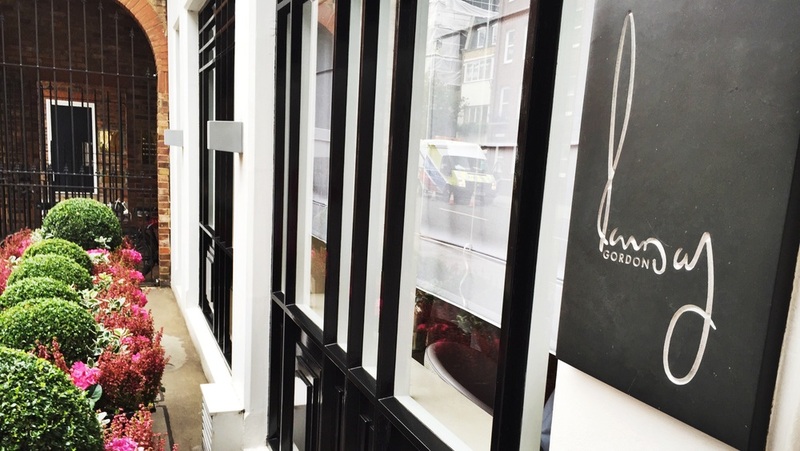 Restaurant Gordon Ramsay is one of only four 3 starred restaurants in the UK, and getting a reservation is hard work. I kept checking every few days and by chance was able to make a Wednesday lunch booking a few weeks ago. I snapped it up and immediately got excited! Its taken a full 24 hours of reflection to be able to write about it, I was pretty overwhelmed yesterday. When our waiter was chatting to us, who had clearly read my blog, I was so emotional I had a sneaky tear or two that I had to release!! I just felt so incredibly lucky to be there, and couldn't quite contain it! Definitely not my most collected moment!! We are usually pretty hopeless when it comes to ordering at restaurants. We take it much too seriously and always have to ask for "just another minute please". But at Restaurant Gordon Ramsay there was no hesitation. If you are lucky enough to be at a Gordon Ramsay restaurant and have the option to have seven courses, you just say yes. We approached our budget with reckless abandon. 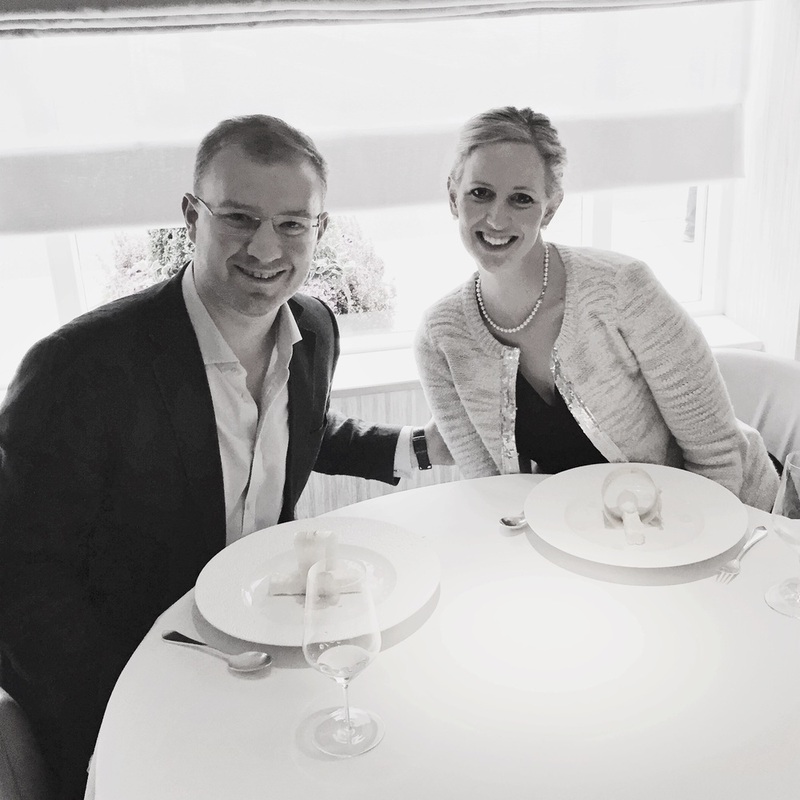 It was our farewell to London treat and we knew it was quite possibly our once in a lifetime chance to eat there. So bring on the seven course Menu Prestige. Im going to need to break my posts into two, or else you'll be reading all day, so will put my favourite food photos together for next weeks' post. But for some general comments though, I would say Restaurant Gordon Ramsay is every bit worth the wait and worthy of its 3 Michelin Stars. 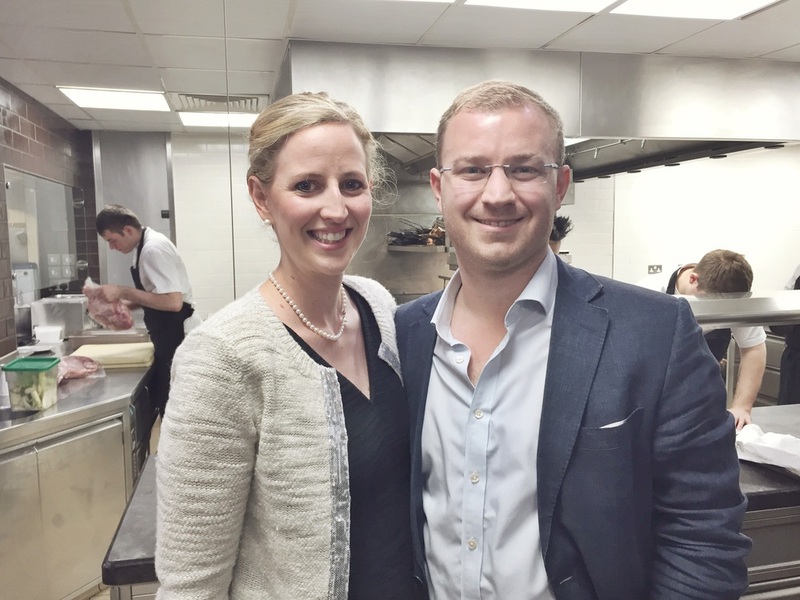 Chef Clare Smyth is sensational. Each mouthful was perfection. We were thinking about what other than the food ellivates a restaurant from one star to three, and it would have to be the service. The service was outstanding. It was cosy, personal and warm. And we managed to feel special without the snootiness that you might expect of a restaurant of this calibre. It was a surprisingly intimate dining room, with only 14 tables in total. This meant such personal attention and a real homely atmosphere. The staff were quite young, but with the professionalism and charisma of staff who'd been in the industry for 50 years. 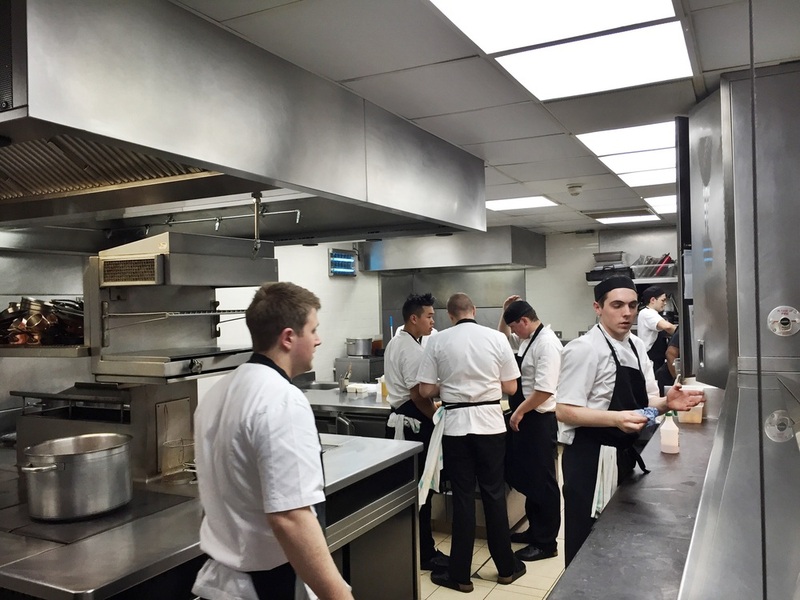 We were invited for a little tour of the kitchen when we had finished, but unfortunately neither Gordon nor Chef Clare Smyth were around (my stalker-gram had informed me that Gordon was in Norway so I let my hopes of meeting the man himself dissipate prior to arriving!!). It was fun to see the kitchen though and I felt quite ridiculous to be able to compare it to that of the cordon Bleu kitchens. What a brat right?!! 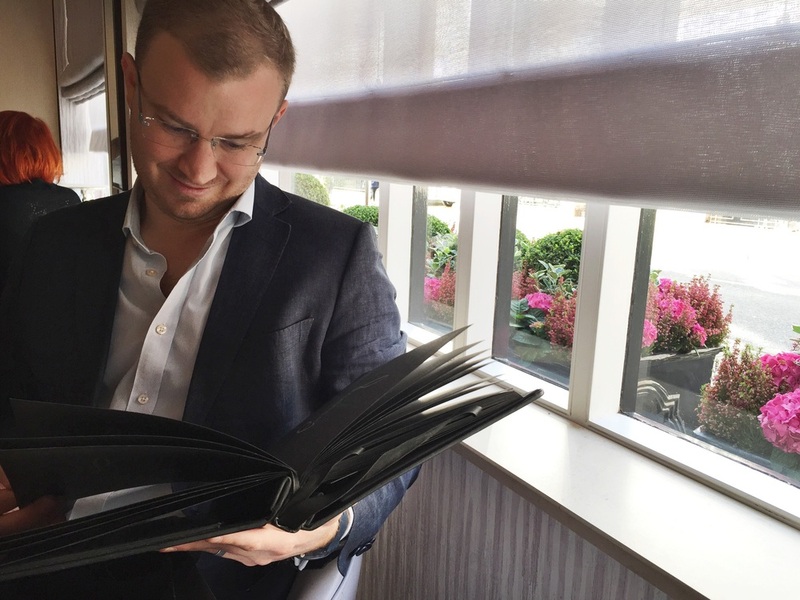 And because it is Gordon Ramsay and amazing, the maitre d had made me my very own menu to take home. 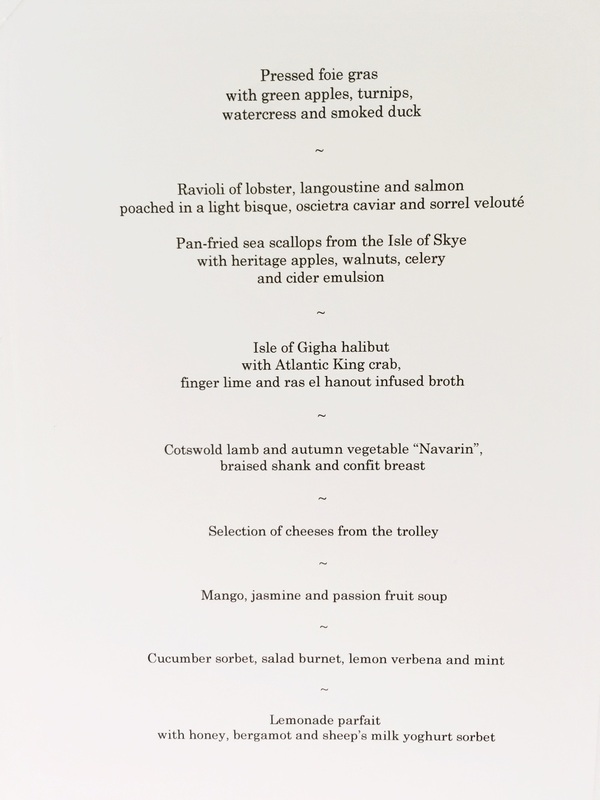 I (naturally) had a special menu for lunch due to being gluten free (such as swapping the lobster ravioli for seared scallops) and to help with my blog post they thought it would make sense to have a copy of my own personal menu. Oh ok.
On the way home (and on the way back down to earth) I proclaimed to Pete that I wasn't really interested in eating ever again, because I knew it would only disappoint. To say I've been spoiled would be highly accurate!!! I truly can't say enough good things about Restaurant Gordon Ramsay. The food will speak for itself though. I'll get cracking on those photos soon too. 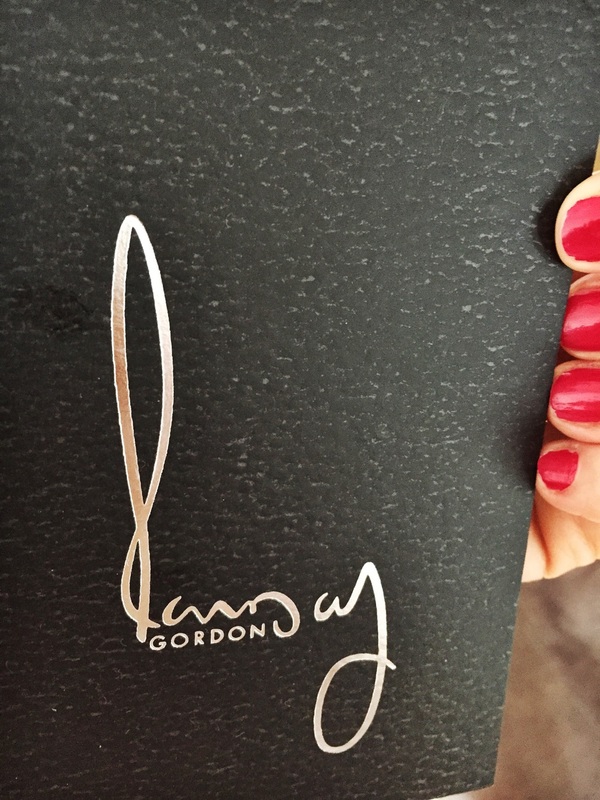 If you want truly the most special meal of your life, go to Restaurant Gordon Ramsay. And maybe take me with you! !